Chilika Lake is the largest brackish lagoon of India. The scenic beauty of Chilika has rendered it the status of a famous tourist destination in Orissa. 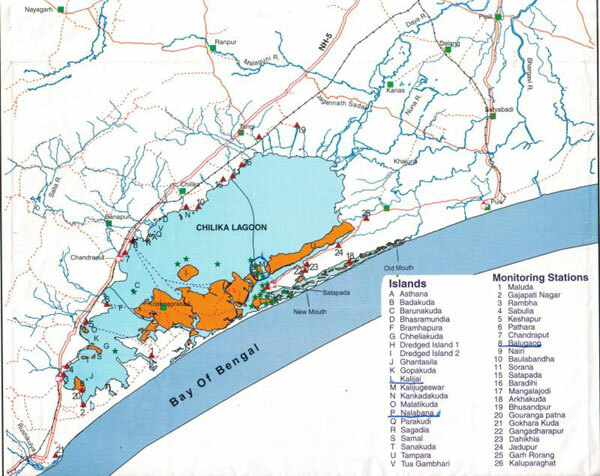 Chilika is a part of Ganjam district and touches some area of Puri and Khurda district as well. It has been also declared as a bird sanctuary due to the migratory birds that flock during winter towards the islands of Chilika. Chilika is a lake situated in the sea mouth and this is the reason why it is home to many species of birds and marine lives. Chilika gets separated from the sea through islands and sand flats. The islands in Chilika Lake are the places which house many trans-Siberian migratory birds. Some of islands on Chilika are Honeymoon island, Breakfast Island, Nalabana island, Parikud, Kalijai, and Somolo island. Among these islands only the Nalabana Island has been declared as a bird sanctuary. These islands are home to many species of birds that come during winter. 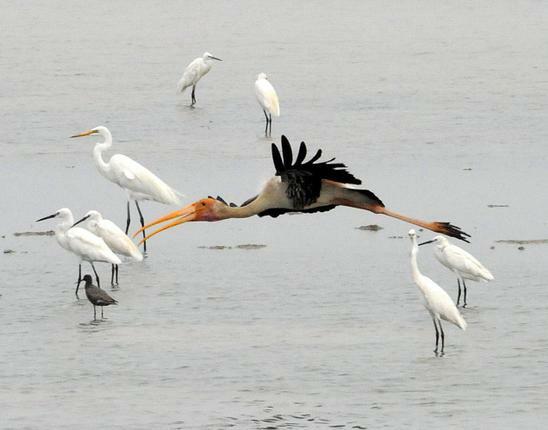 So the ideal time for watching birds in Chilika Lake is from December to February. During this period one can see many foreign birds like Herons, flamingos, Egrets and Spoonhills. In the shallow water of Chilika Lake many short legged songbirds and fish-eating birds are also found. In the sand flats of this lake many of the birds like Wagtails and Lapwings can be seen. These islands have been protected from trawlers and machine boats used for fishing as these can frighten the birds. Much of the trawlers and boats are not allowed to the lake for any commercial purpose like fishing and hunting. These beautiful birds can be watched with the help of boat trip to Chilika islands. One has to depart from Satapda, Balugaon or Barakul to visit these islands through boat trips. The motor boats are generally arranged for tourists by OTDC or other private owners. It is great to see the birds flocked over the lake with the onset of winter. Satapda on Chillika is another island that stands on the sea mouth. This is the place to view Irrawaddy Dolphins. One can make a boat trip to this island from Balugaon. This is the playful island where one can see these Dolphins playing in water. The picturesque beauty of Satapada attracts many of the tourists towards this island. One cannot see the whole Dolphin every time. It is only part of the Dolphin is seen while going on the boat. 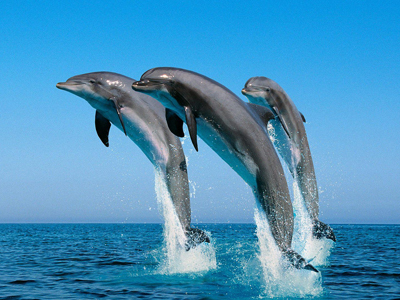 When they jump, the entire body of the Dolphin can be seen. Visiting Satapda also makes one know about the nearest island Rajhansa named after a species of waterfowl. It can be visited to enjoy certain species of birds. As it is situated in the confluence of Chilika Lake and Bay of Bengal, the picturesque beauty attracts many of the tourists throughout the year. Unlike the bird watching in winter, one can enjoy the Dolphin seeing in every season. One can choose to avoid Monsoon as during this many of the islands get covered with water and the natural beauty of the islands on lake cannot be enjoyed fully during rain. Chilika Lake the brackish water lake is the famous tourist destination that also provides budget hotels and other accommodations like Bungalows to stay at. One can stay in the Panthanivas at Barakul, Satapada or Rambha to give a frequent visit to the lake. It is not to easy to study the surrounding in one visit, so one can stay there for days to see the nature-bestowed beauty of the lake.